Itâ€™s Halloween night 1953, the last night of the carnival in rural Ohio, and a stripper turns up dead. 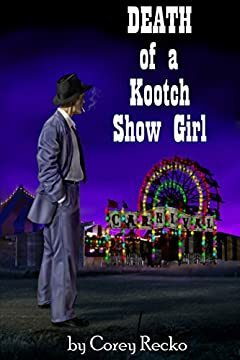 Tom Davis, the chief of police, orders the carnies to stay in town while he investigates, but there are no leads to Maryâ€™s killerâ€”no fingerprints on the murder weapon, no blood but Maryâ€™s at the scene, no foreign hairs or fibersâ€”no clues of any kind. Brian Stockton, a reporter for the local paper, hopes this will be his break into the big time, so he begins to investigate as well. But, alas, the killerâ€™s identity eludes him, too. As tensions build, the carnies become paranoid, pointing fingers at each other. Could it be the owner, Bill Harris, the one who discovered the body? Or was it perhaps Gino Guglielmo, the man who runs the kootch show and has a nasty temper? Was it the eccentric clown, Otto Radowski, a man with dark secrets in his past and who just happens to have Maryâ€™s cat? And how did the killer manage to commit such a violent act without leaving a single speck of evidence? Mary certainly wasnâ€™t killed by a ghostâ€¦or was she?